Dignified Work with a focus on empowering women in global supply chains. Candidates should have experience of delivering programmes to empower women in key supply chain sectors such as RMG (ready-made garments), ideally in factories and in worker's homes and communities. Good understanding of improving access to labour rights and gender equality in supply chains, including through worker organising, and experience working with diverse stakeholders including trade unions, factories and brands. Expertise in Women in Value Chains and Market Systems Development. Candidates should have experience designing and implementing programmes to identify and tackle the gender barriers within global agricultural value chains. Ideally candidates should have experience working with global multi-nationals as well as a strong understanding of stakeholders throughout the value chain. Strong knowledge and experience of designing, implementing and/or managing projects in your area of expertise is required, including a solid understanding of Monitoring and Evaluation. If you wish to be added to our consultants' database/roster, please submit your current CV, along with a supporting statement, detailing your availability and daily rate. We will review CVs as and when received. Please note: To submit your application on our e-recruitment site, complete all mandatory fields and upload your CV in a word or pdf format under "CV upload". In the personal statement box, please write your supporting statement. 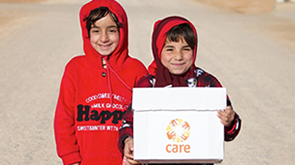 CARE International UK has a zero tolerance approach to any harm to, or exploitation of, a vulnerable adult or a child by any of our staff, representatives or partners. Recruitment to all positions in CARE International UK includes, in particular, criminal record checks and the collection of relevant references. Safeguarding our beneficiaries is our top priority in everything we do.